Our 2nd year Historic Carving and Conservation students have just returned from a five day Study Trip to Venice organised by the Art School. This is the second year this trip takes place, coordinated by our Head of Humanities Tom Groves. The trip is a precious opportunity for our students to visit a city that needs little introduction with regards to its beauty and unicity, and which furthermore offers challenging scenarios to conservators, incredible examples of wood and stone carving, as well as one of the richest landscape in Europe with regards to History of Art. The Giorgio Cini Foundation welcomed us once again, making accommodation and lecturing facilities available for the group in the beautifully set up Vittore Branca Centre on the San Giorgio island. 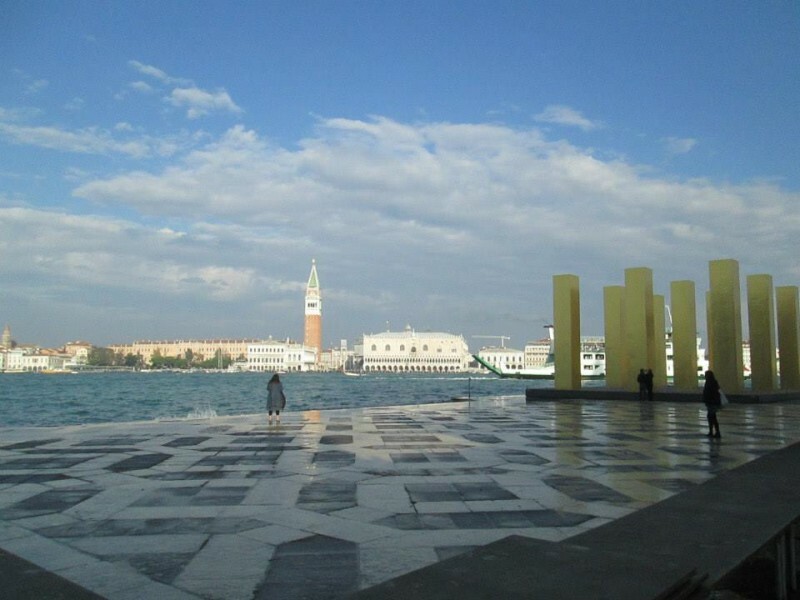 The Centre and the Fondazione are adjacent to the San Giorgio Maggiore church, where two of our Conservation Graduates, Eliza Doherty and Ffion Howells, are carrying out Conservation projects as part of the Venice in Peril Internship. – Marta Zoppetti at the Fondazione Giorgio Cini for hosting us once again, and to Alessandro Martoni for the insightful tour to the Fondazione. – Dr Grazia Fumo and Dr Lucia Bassotto for their availability and the incredibly interesting talk to our Conservation students about the research carried out on the Monument to Canova, and plans for its conservation. – John Millerchip, Trustee of Venice in Peril Fund, for the introduction to Dr Grazia Fumo. – Marina Morrisson-Atwater, Trustee of Venice in Peril Fund, for opening to our students the doors of the Chiostro of the Madonna dell’Orto, and for her generous hospitality. – The Abbey of San Giorgio Maggiore for allowing a tour of the complex guided by Signora Lijuva. – The Direction of Aman Canal Grande Venice for an exclusive tour of the beautifully restored Papadopoli Palace. And to the teaching staff who accompanied our students on this trip! An album of images from the trip is available on our Facebook Page. Click here to see it!